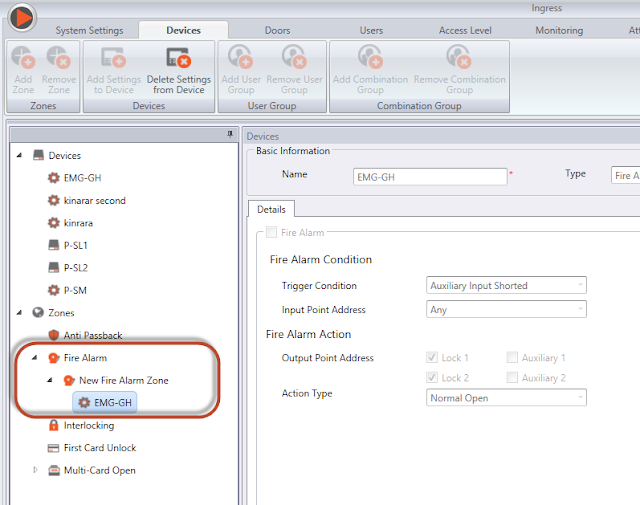 Title: Configuring fire alarm in two pieces of Ingressus to open all doors when smoke sensor is triggered. 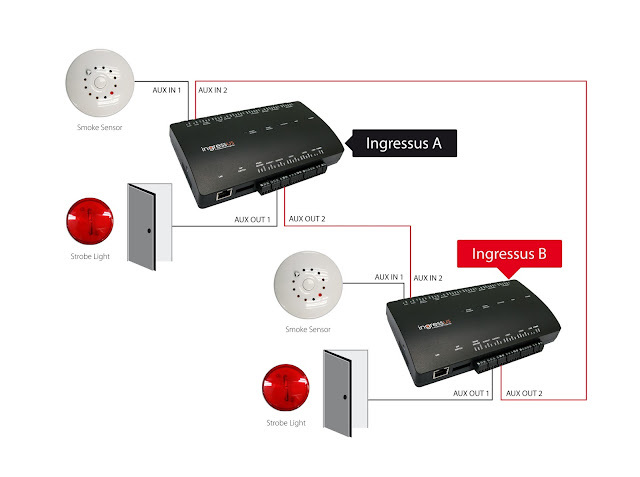 Ingressus can be integrated with multiple auxiliary inputs and outputs. One of the main safety features of Ingressus is that it can be combined with smoke sensors in an event of fire to trigger alarm alert and to open all doors of your premise(s) simultaneously. 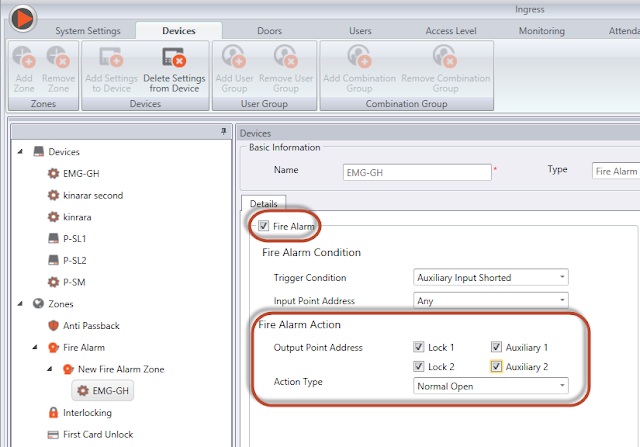 By tapping on this configuration, Ingressus will open selected doors when the fire alarm is triggered either from the first Ingressus or from the second Ingressus. 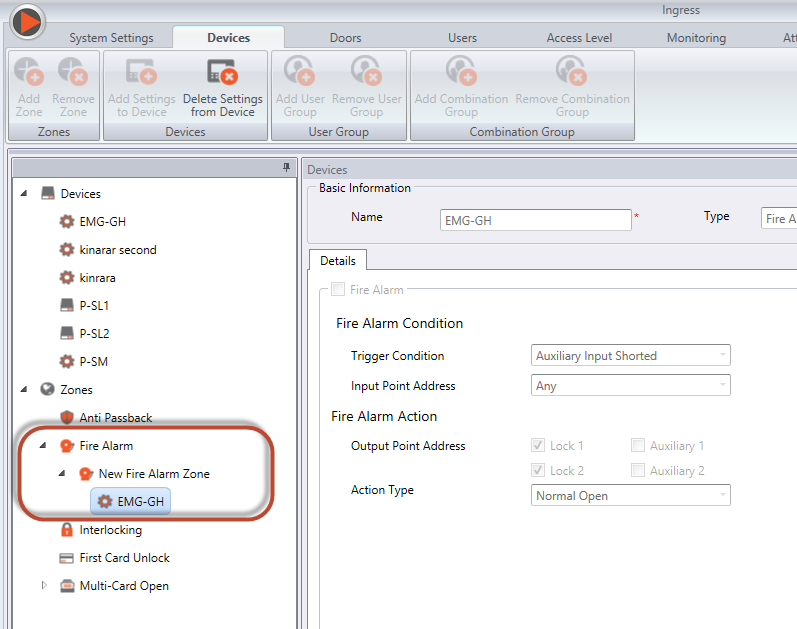 It is crucial to get the people affected clearing the areas when the controllers detect smoke. 1. The Ingressus must be activated first before the “Zones” feature appears in “Device” tab. 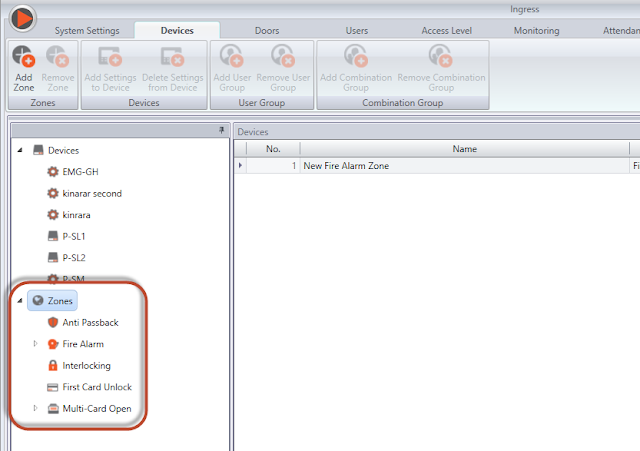 the changes to be reflected.